“Good show, Good singer, Rocks like a beast!” – those were the words used to describe Eve’s Fall by the judges of the Global Battle of the Bands 2014, where the band made it to the national finals. 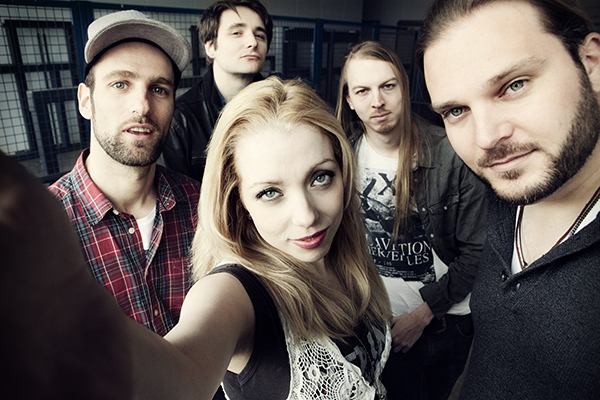 The pop-influenced metal band led by Liesbeth Cordia appeared on stages early 2012, and soon released their debut ‘From Here On’ April 2013 in a crowded ‘Supermarkt’. It’s not hard to see the band means business: besides advancing to the finals of GBOB, they also won Band Boost 2013, and appeared on 3FM national radio in the ‘Freaknacht’. Eve’s Fall present a catchy and accessible mix of hard, modern metal with strong influences from pop-music on their debut ‘From Here On’. The band clearly distance themselves from the clichés commonly associated with female fronted metal. The fresh and varied sound arises from the different musical backgrounds of the members, who have had their share of studio and stage experiences in bands such as Bullerslug, Malkovich, The Bullfight and Annatar. In short, expect a tight and energetic live performance when seeing Eve’s Fall!